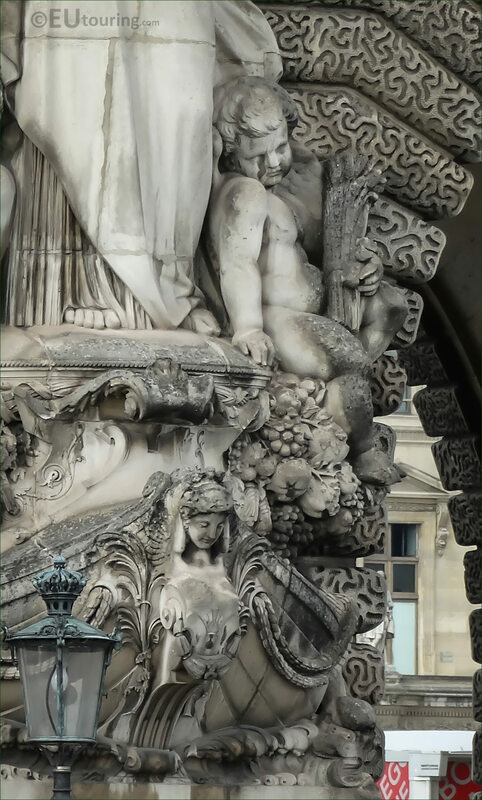 We were walking along the River seine in the 1st Arrondissement of Paris when we took these high definition photos showing a statue called Marine Marchande, which is located on the Guichets Lesdiguieres wing of the Musee du Louvre, and this was sculpted by Francois Jouffroy. 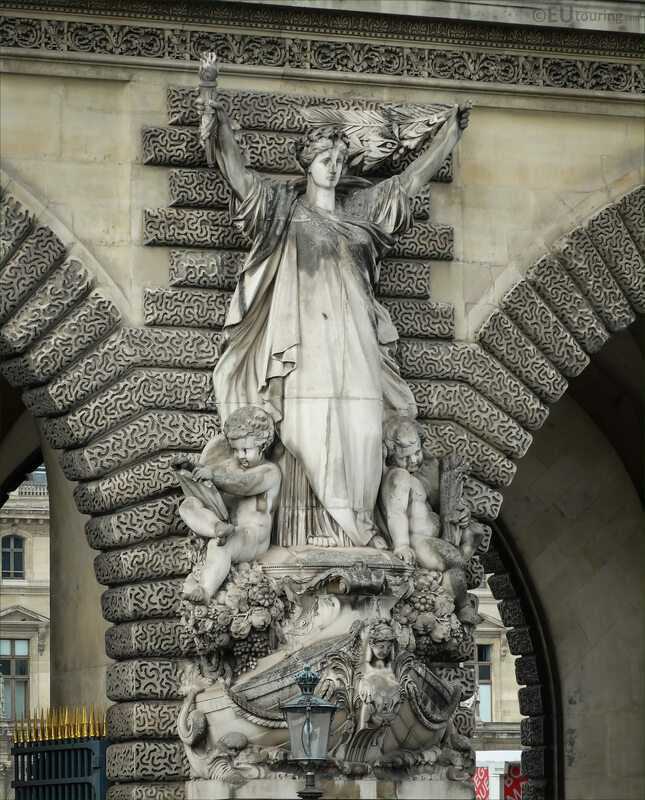 This first HD photo shows the whole statue called Marine Marchande, which in English translates to Marine Merchant, yet this is also known as an allegory style sculpture, which is sometimes referred to as Marine Commerce and sculpted in approximately 1866, it was put in place in around 1868. 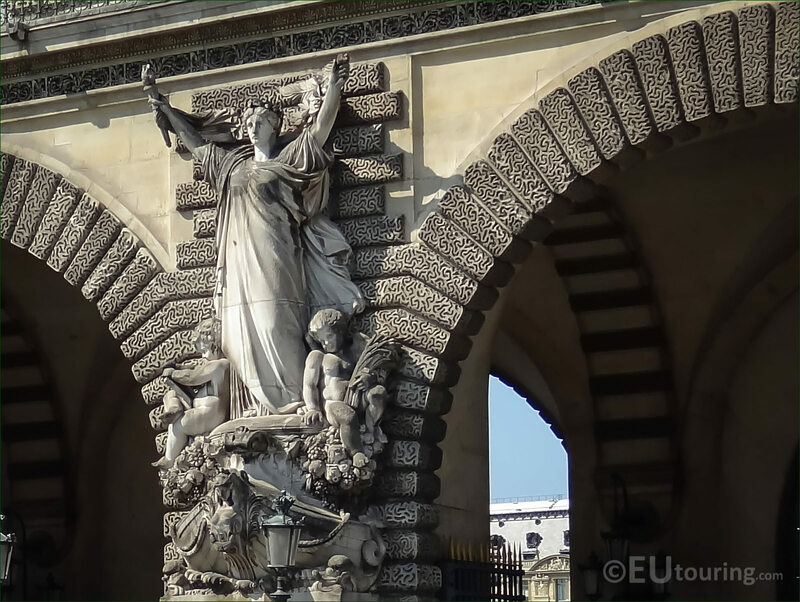 So this next photograph again shows the Marine Marchande statue located in between the archways on the Guichets Lesdiguieres wing, which was commissioned to the artist Francois Jouffroy at the time when many embellishments were being added to the former Palais du Louvre. Yet this next close up high definition photo shows the young child located to the right hand side of the allegorical statue group along with some of the other fine details that went into producing this, which was by the renowned French sculptor Francois Jouffroy. 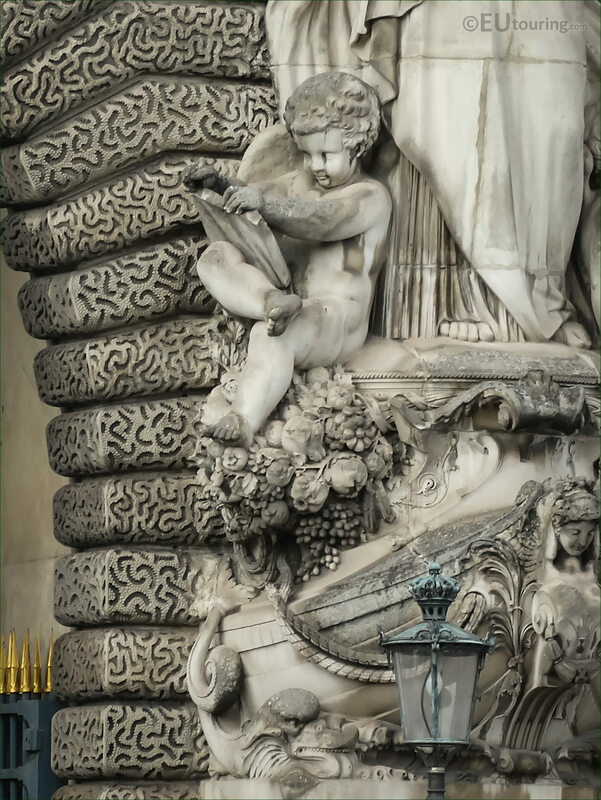 However this next close up image shows the child on the left hand side of the allegorical statue group called Marine Commerce, or Marine Merchant, and as you can tell, Francois Jouffroy has depicted the child with what looks like a tablet, as though he is looking at an inventory. But Francois Jouffrey produced numerous different statues and sculptures on and around famous tourist attractions in Paris such as the Opera Garnier, plus several others which are located on the facades of the Musee du Louvre, although many of his works are now in public places like Dijon where he was born, or held within museums throughout France. 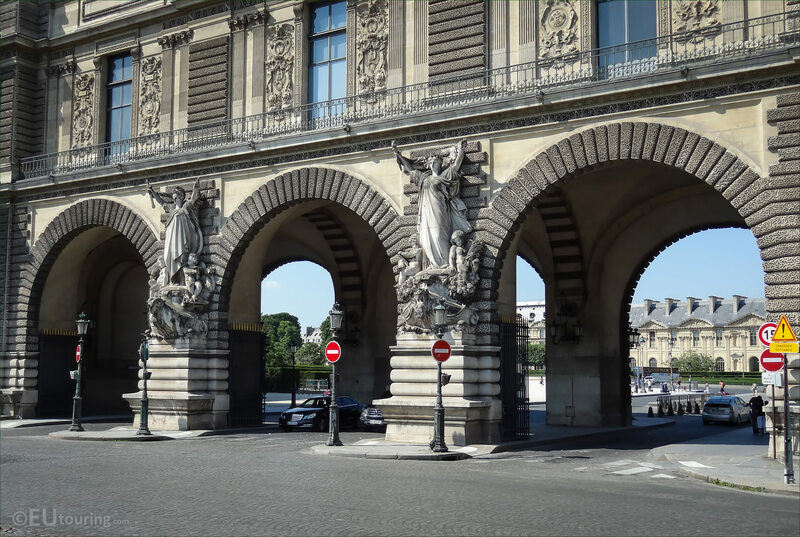 And this last image shows the two statue style sculptures opposite each other that were produced by Francois Jouffroy, the other being called Marine Warrior, and these are located in between the archways of the Guichets Lesdiguieres wing of the Musee du Louvre, which although this section is classed as within part of the Cour du Carrousel, these face the River Seine and the bridge called the Pont du Carrousel.